Westminster Forum Projects organise cross-party seminars to bring together stakeholders and policy-makers to share perspectives within specific topic areas. Events are funded through sponsorship and delegate fees, though free places are available for policy makers and poor students! 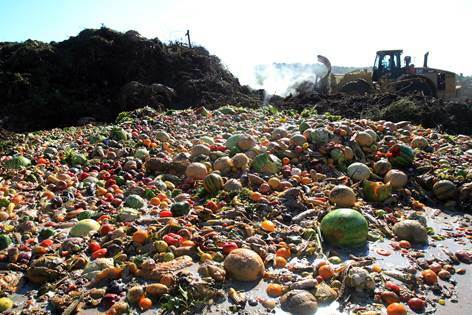 September’s food waste policy forum saw a comprehensive delegate list from major processors and retailers to representatives from WRAP and DEFRA, local authority staff, campaigners and researchers. The day was loosely divided into two themes: reducing food waste and rationalising its use through redistribution/Anaerobic Digestion, linked by discussions of policy levers at local, national and EU levels, especially the renewal of the Cortauld Commitment and Kerry McCarthy’s Private Members Bill on food waste reduction, presented to Parliament the previous day and currently being prepared for its second reading in January. Speakers included Nicola Hopley from DEFRA, who described recent achievements and current targets across the supply chain, Matt Smyth on Surrey County Council’s Waste Partnership and behaviour change/public engagement in food waste separation at home, David Baldock from IEEP on the EU’s role in debates and policy developments around food waste and Richard Swannell from WRAP on the role voluntary agreements can play in reducing food waste into the future and Cortauld 2025. Later sessions focused on the role and risks of AD and there were contributions from the packaging industry, the Food and Drink Federation and LEAF (on the role of ‘precision farming’ and hi-tech). I’d like to focus on two contributions: Mark Varney from FareShare and Mark Little from Tesco. Varney prefaced his talk with a reminder of the prevalence of poverty globally and here in the UK. He noted that FareShare is what in the US and elsewhere is called a ‘food bank’- doing the logistical work to collect and distribute food to member charities. He highlighted the precious and vital nature of food as a resource: “we deal in food, not waste”. Without going into the specifics of FareShare’s work at 20 depots across the UK, he suggested that the unique nature of food as a commodity that rots if not looked after requires it to be given a special place in policy considerations. He highlighted his organisation’s rapid growth and the support of major food companies, also acknowledging that most are working to prevent waste but suggesting that the “scrapings” of fit-for-consumption leftovers could be put to much better use. FareShare’s aim is to grow from redistributing 2% to 25% of available surplus, acknowledging the higher rates of redistribution in France. Varney called for a “legislative framework to make it easy and cost‐effective for those businesses to reflect…the food use hierarchy, and we do not have that at the moment.” While Nicola Hopley of DEFRA had suggested that donation for human consumption should be cheaper than sending it for animal feed or AD, he insisted that for many businesses this simply isn’t the case. He called for incentives that reflect the costs of redistribution work- research is needed to clarify what those costs are, the kind of understanding called for by Kerry McCarthy’s bill. Varney made the point that businesses will use disposal outlets available to them but are unlikely to opt for those they have to pay extra for, as is the case with food waste separation for many. FareShare’s Food Efficiency Framework encourages businesses to anticipate and plan for occasions of fit-for-donation surplus; Varney posed the question of whether such procedures could be legislated for. He also mentioned the question of language used in engaging businesses: why do we still use the word ‘waste’ to describe something that has merely become commercially unsellable: the edibility of the food in question doesn’t change despite this economic ‘qualculation’ (I find Jane Midgeley and David Boarder Giles’s work useful in exploring the logics of food under capitalist exchange). I am always interested in what’s left out of such conversations: there was, understandably, little mention of the specific kinds of food that tend to go to waste and their suitability for feeding to people in need, as well as the different kinds of handling required. There was no mention of FareShare’s need to adhere to date labels and what they do with food that passes this. There was little engagement with the debate as to whether logistically improving and legislating for redistribution risks ‘entrenching’ food aid as a solution to poverty without attending to a welfare system in crisis. This is unsurprising but struck me as an omission of the day, where the notion that feeding humans as the peak of the ‘food use hierarchy’ was assumed to be a positive despite the need to attend to its empirical specifics, as some of our own work has pointed out. Mark Little leads Tesco’s work on food waste reduction and told the forum that Tesco’s decision to act on this came from a concern for ‘global food security and environmental reasons’ but also colleagues and customers’ ‘guilt’ and concern to reduce waste in a world where people go hungry, as well as food waste being a financial cost for Tesco and its suppliers. Tesco is taking a ‘whole-chain’ approach and using WRAP’s work to understand how waste occurs. Mentioning the >1% of store-level waste, he nevertheless recognised Tesco’s influence on wastage up and downstream, speaking of ‘shared responsibility’ and working together. ‘Extending direct deliveries’- importing produce direct from supplier to store rather than via a distribution centre. He finished by mentioning shopper-focussed initiatives such as using ‘skin packaging’ and LoveFoodHasteWaste messaging: while more research needs to be done on the impact of such interventions, he mentioned ‘preliminary findings’ that 1 in 10 customers report having changed behaviour as a result of such messaging. Again, what was left out of Little’s contribution? Clearly it would be useful to know the methodologies employed in research that claims consumer behaviour change, and to specify what that change is! He didn’t engage with one of the topics of the day, which is the potential role of legislative change and financial incentives or disincentives for dealing with surplus food in specific ways (as well as the Grocery Code Adjudicator in mediating decisions about guaranteeing/cancelling orders). It is laudable to see work being carried out by corporations with such a wide claim over the distribution of food in the UK and testament to the tireless advocacy work of groups like This Is Rubbish and Feedback, as well as the research and support role of WRAP. An audience question later on came from Niki Charalampopoulou from Feedback, arguing for the maintenance of government support for the WRAP’s globally-relevant work, as well as supporting industry contributions to an organisation whose services they benefit from. Opportunities to scrutinise and debate such multi-sectoral strategies are vital. I welcome future opportunities to examine the ongoing impacts of the stated intentions of organisations such as Tesco and FareShare, though these require an eye on the bigger picture, as austerity economics and climate change continue to impact food production and the differing capacity of people to purchase and eat it, especially given the potentials and risks of legislating for change. Anaerobic digestion took a central role in the last hour of the event during the session “Challenges and priorities for the anaerobic digestion industry”. This included insightful presentations by Charlotte Morton, Chief Executive of ADBA; Julian O’Neill, Chief Executive Officer of Biogen; Peter Melchett, Policy Director of The Soil Association; and Jeremy Jacobs, Technical Director of the Renewable Energy Association; followed by a fruitful discussion between panel members and members of the audience on the benefits of anaerobic digestion technology to treat food wastes and issues present and foreseen in the sector. Anaerobic digestion (AD) is a technology that enables the obtaining of biogas and digestate from a variety of feedstocks, including food waste. The raw material is broken down by microorganisms in the absence of oxygen; the biogas obtained (basically a mixture of methane and carbon dioxide) can be used to generate fuel, heat or electricity, or can be directed into the gas grid. The waste that was not converted into biogas, called digestate, can be used as a fertilizer. O’Neill defined it as follows: “this is not just a renewable technology, this is not just a waste management technology, it’s where those two things meet”. As Morton highlighted in her presentation, AD must be considered a recycling alternative rather than a recovery alternative, and it must be used only for inedible food waste; for edible food waste the efforts must focus on reducing the amount of waste generated and redistribution preferably to people in need or otherwise to animal feeding. Its popularity and significance has rapidly increased over the last years: by this July 400 AD plants has been built in the UK, and by the end of the year this number is expected to reach 500. This growth has obtained as much energy from AD as from the Wylfa nuclear plant in north Wales which is going to be decommissioned soon. Charlotte pointed out that big opportunities in the sector are in getting access to feedstocks with poor AD performance at the moment, such as wastes with high lignin content. R&D investments in AD will increase the energy we can obtain digesting waste, potentially reducing the UK’s total greenhouse gas emissions by 4%. Though AD systems can (and must) be optimised, O’Neill valued their efficiency compared to other alternatives, such as incineration, taking into account that about 75% of food waste is composed of water. On the other hand, Jacobs emphasised the uses of biogas for transporting and for use as a vehicle fuel as biomethane; Morton estimated that this could feed about 80% of heavy goods vehicles and 60-70% of buses. However, this useful technology has started to face serious issues that can jeopardise its future. Recently, the Levy Exemption Certificates (LECs) have been removed, the Feed-in Tariffs (FiT) have been reduced and the FiT pre-accreditation will also be removed, and the consequence of this according to Morton is that only AD plants which already have pre-accreditation will be built. O’Neill added that these recent decisions will make it much more difficult for this sector to expand, and he called for a stabilisation of the subsidy mechanisms. From the AD industry side, the gate fees should be driven down and the business should be more resilient. In terms of feedstock, 90 million tonnes of farm manures are available in the UK, but they must be combined with other materials as their biogas potential is low, Jacobs stated. Peter Prior (Andigestion), from the audience, showed his scepticism on the amount of energy we can get from novel feedstocks in the future, and said that with the high number of AD plants already in existence, there will be a trend to use crops grown specifically for AD purposes instead of food waste in order to increase the efficiency of the digestion process. However, Melchett strongly criticised this option in one particular case: growing maize for AD. This crop damages the soil very severely where it is planted, and this has significant consequences for rivers and causes serious harm to the fishing industry. Melchett called for an urgent stop to subsidies to maize for AD. From my perspective, the benefits of AD technology as a recycling alternative are clear in terms of environmental and economic benefits: this option should be prioritised when managing inedible food waste. Nevertheless, in some particular cases, extraction of high-valuable compounds from food waste prior to AD (e.g. essential oils, colourings) can be of special economic interest. An exhaustive analysis on the different types of food waste seems to be necessary in order to select the management alternatives that maximise economic and social benefits and minimise the environmental impact. Despite much was discussed during the event about the environmental impact of growing crops to feed anaerobic digesters, nothing was said about the moral aspects of this opportunity: is it ethical to grow food for energy purposes, while there are about 800 million people suffering from chronic hunger in the world? A partial solution is growing crops only in contaminated lands: the food grown there would not be fit for human consumption anyway. We cannot forget what happened in Germany: farm and food waste was initially used as a feedstock for AD, but afterwards it was proved that maize brings a much higher efficiency to the process. As a consequence, the use of maize in AD rose dramatically causing an important environmental impact. At this point, it seems sensible to suggest that R&D should focus on increasing the efficiency of (food, farm, etc.) waste AD plants rather than on access to new crops to be used as feedstock. It would be interesting to hear others’ interpretations of the discussions outlined above; feel free to add your comments or contact us for further discussion. Charlie Spring is a PhD researcher at the University of Salford exploring the growth of surplus food redistribution. Her research starts from the contradictions of food availability in UK cities, where high levels of food waste coexist with hunger and food-related illness. She’s comparing the Real Junk Food Project with other organisations that redistribute surplus food to people, asking what it means to cook and eat together, and how such organisations might advocate to address systemic causes of hunger and waste. Guillermo Garcia-Garcia is a research assistant and PhD student at Loughborough University. He earned a MEng in chemical engineering at the University of Granada (Spain) in 2011 and a BEng in industrial technical engineering at the University of Jaén (Spain) in 2012. His experience in the food sector includes positions in the production laboratory of a dairy Spanish company and in the R&D Department of an edible-casings producer in Germany. He joined Loughborough University in 2014 as a Research Assistant to investigate sustainable manufacturing of food products. He is also undertaking a PhD in maximising the value of food waste at Loughborough University.